Film fill F19 | steady tower is a specialist provider of cooling tower services for all industries. 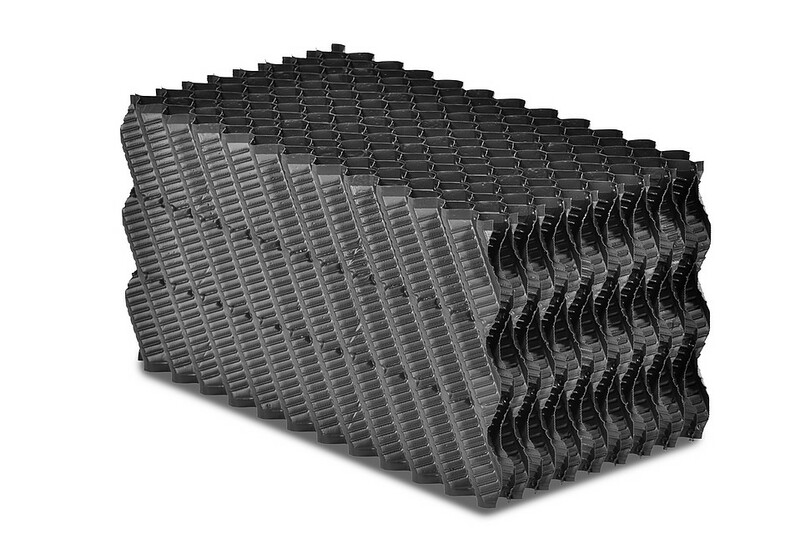 Film cooling fill is the popular choice for field-erected or package counter flow cooling towers. For use in power, refining, chemical, steel, and food processing applications where water quality is average-to-good. The film cooling fill sheets have thickened edges and is sturdy enough to walk on and erosions from sprayed-upon water are minimized.